eco-friendly and save them money on bills. 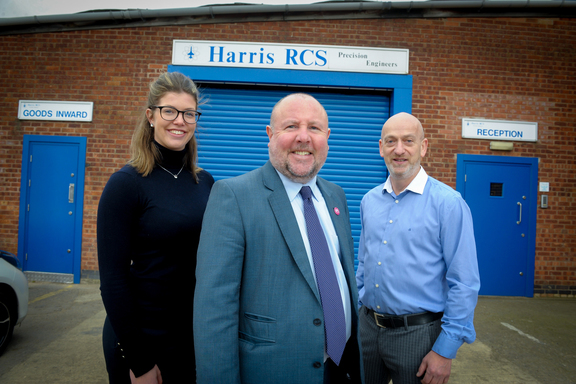 Council, the family-owned business managed by Graham Harris and Deborah Walters has invested £28k in a series of measures to achieve energy efficiency savings at their premises. The manufacturing company of aviation and commercial machined parts, has been based in the same unit for over 40 years and the building was in need of updating. Graham and Deborah decided to invest £28k to bring the building up to scratch and were successful in obtaining the Green Business Grant towards this. with new insulated doors and a fast action roller shutter door.